Another day at university, only 4 weeks until hand in! Today we threw Claire a pre-uni-birthday party! It was fun, we had balloons, cake, banners and tiaras. YAY. Graphics is much more fun in tiaras. 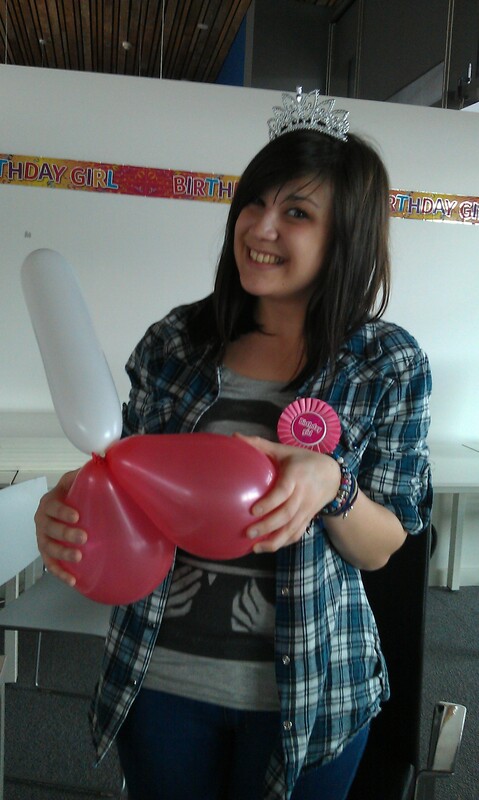 Oh, and balloon childishness.